If I were a cupcake, I would be THIS cupcake. 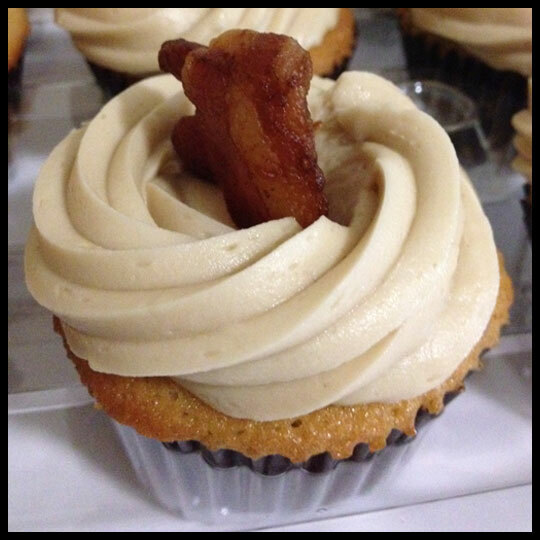 My love of bacon is no secret, and this cupcake had perfectly cooked, crispy bacon on top AND in the cake. The maple frosting was again smooth, flavorful and paired perfectly with the bacon. Sweet, savory, salty, bacon-y perfection in cupcake form. I ate 3 at the picnic and took 3 home – and yes, I ate every one of them. This mini cupcake packed a caramel punch, with a hint of salt. 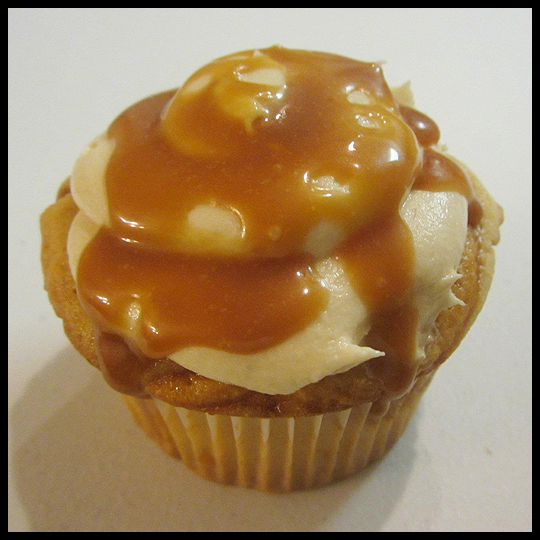 Moist and flavorful, this mini had more caramel flavor than some full-sized caramel cupcakes I have encountered. The caramel drizzle on top added to the light, creamy, smooth texture. In a sea of regular sized cupcakes, this little mini stood out. Perfect summer boozie cupcake. Even better, you could still taste the Red Berry Ciroc vodka! 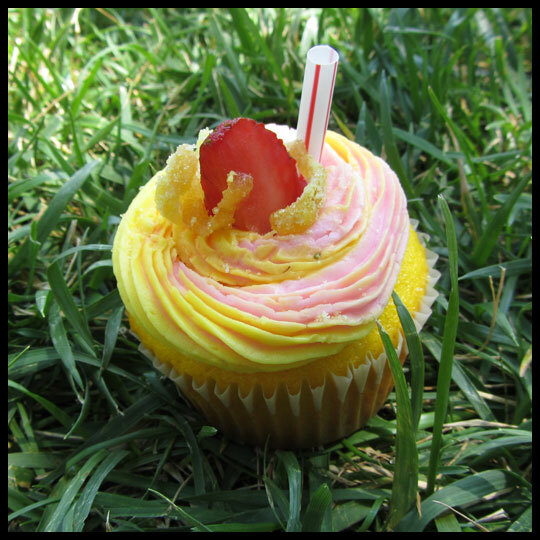 While this is not a cupcake for a kid, it would be perfect for a bacholerette party or grown-up party. 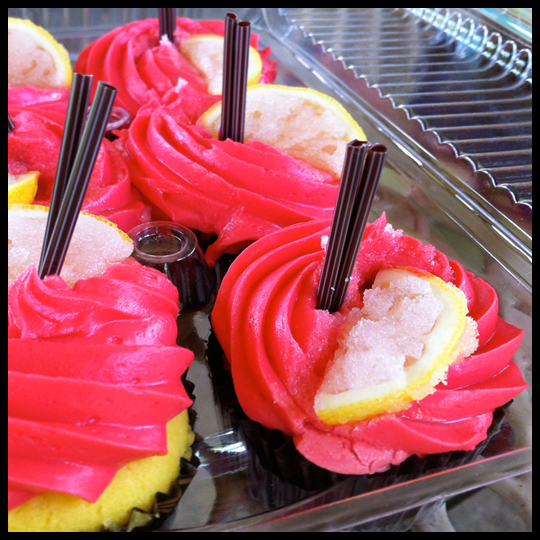 Love the fun bright frosting too – how Joel achieved that amazing red/pink hue without it tasting like food coloring is a mystery. 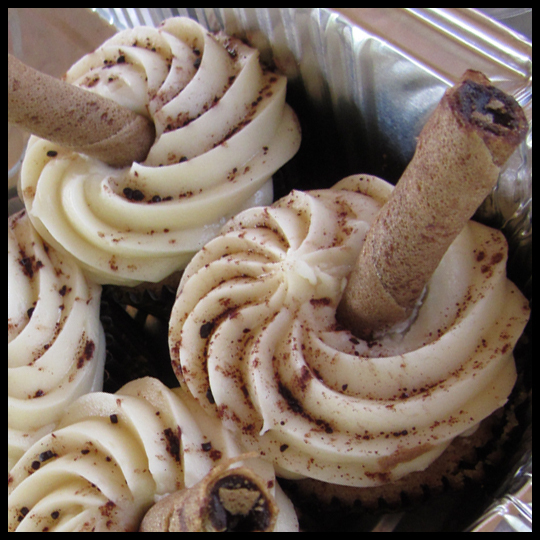 This cupcake had all the right flavors, which worked together in unison to create the perfect Tiramisu dessert in cupcake form! The moist cake, tasty mascarpone and Kahlua filling and smooth frosting was one of the favorites of the day. This is one of my favorite desserts, and I was very impressed with just how much it tasted like the traditional dessert. Capt. 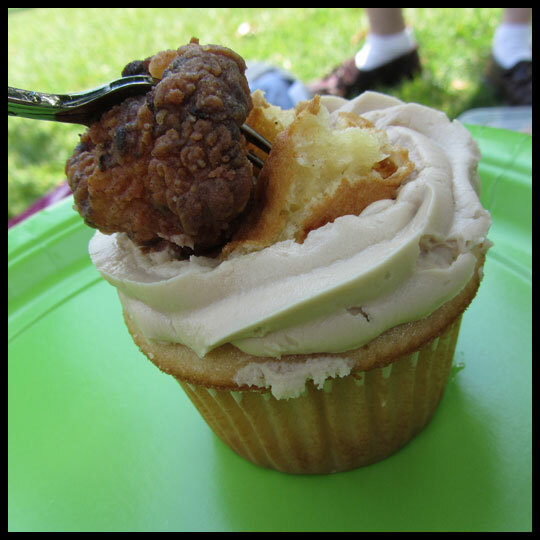 Morgan Rum and Coke: At first sight you might think this cupcake looks like it has chocolate frosting, but the frosting tastes exactly like Coke – which amazed everyone at the picnic! And the cake tastes exactly like Capt. Morgan and was very moist. Like the Red Berry Ciroc, this is another 21+ only treat, but a treat that the Crusaders wouldn’t mind eating again. 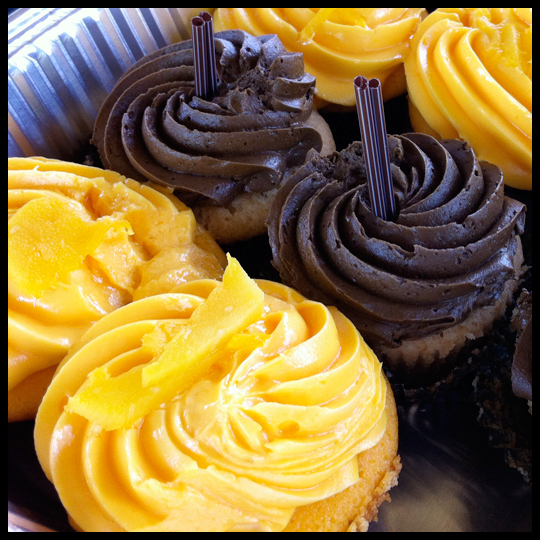 Mango Passion Fruit: Another great summer cupcake! Light and sweet and full of mango and passion fruit flavor. The cake and frosting were an amazingly bright and refreshing orange color, how does Joel do it?! It reminded Crusader Jenn of tropical fruit candy; and while it was a bit sweet for me, it isn’t a cupcake I would ever turn down. For information on ordering Josie’s Confections, call Joel at 301-541-7046, email him at joelegill@gmail.com or visit Josie’s Confections Facebook page.